Postdoctoral researchers and graduate students looking for a place to advance their training often share the same vision: a well-established laboratory headed by a prominent scientist who churns out high-profile papers with clockwork regularity. Trainees thinking about joining a lab that is just getting off the ground should proceed with caution. Here are some steps to increase the chances of success. Follow the paper trail. A new lab might not have much of a track record, but the principal investigator (PI) will, says Michael Imbeault, a molecular biologist at the University of Cambridge, UK. He recommends checking the PI’s publication history to make sure they can turn ideas into papers. Consider the surroundings. A new lab that’s among other successful labs has a good chance of succeeding on its own, Imbeault says. That fact that he’s at Cambridge — one of the world’s leading research institutions — makes his new lab appealing to incoming students. Not only do they enjoy the university’s resources, but the institution’s prestige will carry weight for their careers. Personality check. In a new lab, it’s especially important that everyone gets along, says Stefani Spranger, a cancer biologist at the Massachusetts Institute of Technology in Cambridge. Before signing up, the candidate should talk with the PI to make sure they are compatible in terms of both personality and science. When the time comes for Spranger to consider new PhD students, she plans to give everyone in her lab the power to veto applicants. “A good dynamic is key,” she says. Old or new, big or small: every lab comes with a set of trade-offs. Labs that have just opened lack a track record and name recognition. And, by definition, leaders of new labs don’t have the same level of managerial experience — at least in their current setting — as their colleagues at more-established facilities. But that doesn’t mean that graduate students and postdocs should automatically steer clear of freshly minted labs. Junior scientists who can tolerate the inevitable growing pains can usually find opportunities to build their own scientific skills while helping their principal investigator (PI) to make their mark. And if it all works out, early-career researchers won’t just be a part of something new: they will be an integral part of something big. 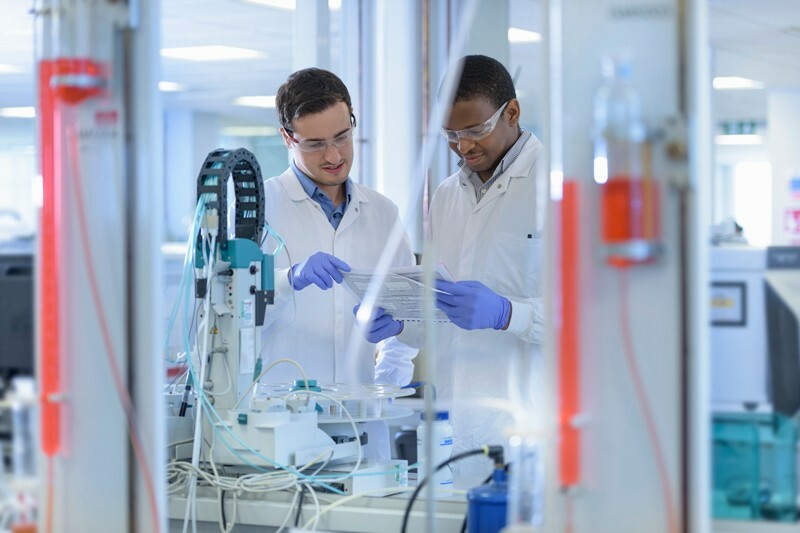 Athina Triantou knew what to expect when she started her PhD in Michael Imbeault’s molecular-biology lab at the University of Cambridge, UK. 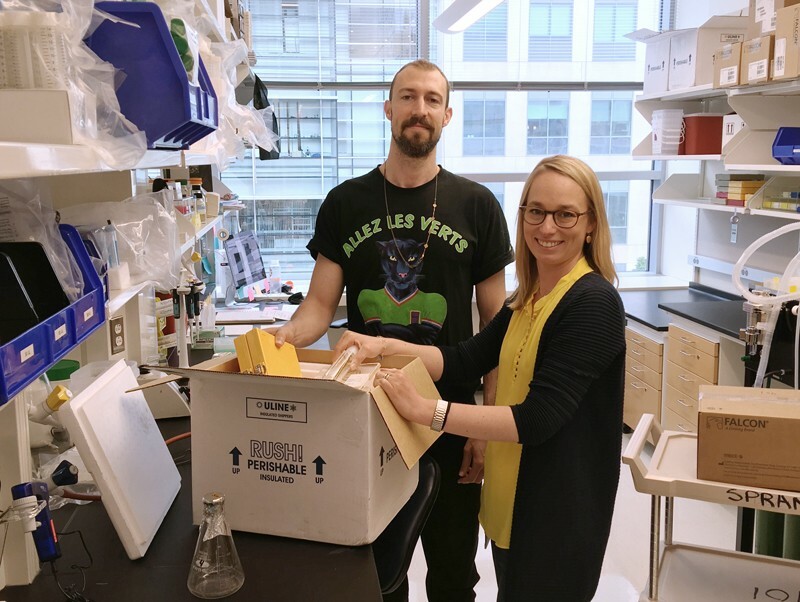 Imbeault, who opened his lab with Triantou in September 2017, had warned her that things might be “weird” in the first few months, and he was right: simple procedures weren’t working, and key pieces of equipment hadn’t arrived. “It’s the jinx of a new lab,” Triantou says. 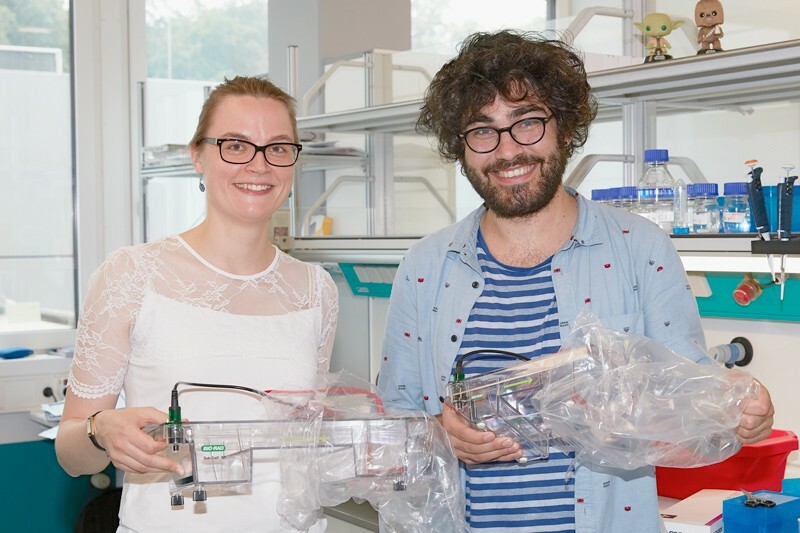 “You have to start from scratch, creating basic protocols that in other labs are working just fine.” Those sorts of glitches caused frustration and delays, but they also gave her an insight into what it takes to build a lab. “You learn a lot in the process, and that’s the purpose of a PhD — to learn,” she says. Funding issues can create feelings of uncertainty when joining a new lab. Imbeault notes that his starting grant leaves him with limited resources to recruit lab members. He’s planning to bring in two master’s students over the summer, but says that hiring for other positions will have to wait. And Sönmezer, for his part, wonders whether he’ll have trouble landing grants without the imprimatur of a famous, long-lived lab. “Money attracts money, and new labs may have a smaller chance to acquire additional funding,” he says. “Big labs that already have money to pay for postdocs often get postdocs who are independently funded.” Likewise, he wonders whether it might be harder for a PhD student from a newer, less-well-known lab to find a prestigious postdoctoral fellowship after graduation. The funding in a new lab might not be lavish, but Spranger thinks that it should be relatively stable. “A younger lab that’s just getting started has a start-up grant,” she says. Such grants vary in size, and some PIs manage their money better than others, but the funding exists for the first few years. “That money will be there, as long as the PI doesn’t over-hire,” says Spranger. In some ways, she says, the funding in a new lab is more predictable than in a slightly older lab in which the PI is about to apply for their second major grant: if that money doesn’t come through, the lab can fold. “There are never any guarantees,” she says. If the match is right, a new lab can have upsides other than stable funding. Graduate students and postdocs are likely to have a lot of in-person contact with the lab leader, something that doesn’t always happen in bigger, more-established labs. Triantou says that she can knock on Imbeault’s door whenever she has a problem, a question or a new idea. Likewise, Sönmezer says that he has a close working relationship with Krebs, his PI. “Arnaud and I have a lot of face-to-face talks,” he says. Some large labs, he points out, can publish two Nature papers in a year — but students and postdocs in that lab might see their PI only twice in that year. Imbeault is quick to add that not all labs conform to generalizations. Some long-entrenched labs manage to pursue hot topics, and some new PIs are already out of fresh ideas. Likewise, some big-name PIs manage to devote plenty of time to their trainees, and some new PIs rarely make an appearance. In the end, he says, the age of a lab isn’t as important as how the lab works.